Did a Metra train shatter this door? 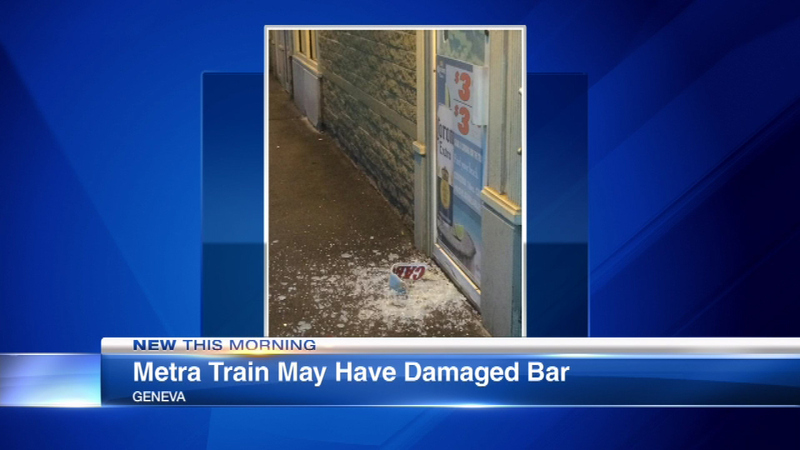 GENEVA, Ill. -- A business manager in downtown Geneva believes a passing Metra train shattered his front door. Caboose's Bar broke in the middle of Monday night's Blackhawks game. Metra said two trains were stopped in the area due to an "obstruction." Manager Larry Olesky said a customer passed by the door just moments before it crashed open. "One gentleman was walking into the restroom when it happened. He just avoided it by seconds. First time in 14 years I've seen this happen," he said. Olesky said officials with Union Pacific Railroad are investigating.